The manufacturing prowess of China has led many foreign brands to move their manufacturing units to China, to take advantage of the country’s large numbers of manpower and highly skilled workforce. But, there are many hurdles that need to be passed by those who are looking forward to starting a manufacturing service in China. Luckily, Business China is here to provide you with the legal guidance you need to make a more informed decision when opening a Manufacturing WFOE in China. To incorporate a limited liability establishment in China is not the same as in Hong Kong. This means all foreign companies looking to start business in China need approval for a business license first. Once the manufacturing company registration in China has been approved by the Chinese authorities, the company can operate as a Manufacturing WFOE in China. The scale of China’s industry has further grown during the past decade. Meaning, China now resides among the world’s top spot as the most extensive manufacturer of various products. China also remains the world’s top manufacturing destination owing to its upmarket manufacturing and extremely low cost. This is thanks mainly to its abundance of domestic reserves of metals and minerals that go into the manufacturing process and further cuts costs of manufacturing in China. For a manufacturing WFOE in China this means, easy access to cheap resources that further cuts their manufacturing costs. Another reason why manufacturers choose to expand to China is because of the large domestic demand of manufactured products by China’s large middle class that’s growing more sophisticated as their purchasing power increases. The country also has the advantage of excellent roads and infrastructure and has built a nation-wide network to transport goods from one part of the country another, and also to the rest of the world. Some of the infrastructure that China has invested in through the years and still continues to do so today includes, roads, highways, high-speed railways, airports, dry ports, and deep-sea ports. It is important to note that a manufacturing WFOE in China is only allowed to operate as approved by the Chinese government. That said, with the services of Business China, foreign companies that are looking to open a manufacturing WFOE in China can operate with ease once they are able to get their company registered. For Manufacturing WFOE's registered capital requirements may vary depending on the industry and the location. So, if you can be flexible on location, shop around and compare regional differences in opening a manufacturing WFOE in China. With much of China's eastern and southern coastal areas possessing sound import-export infrastructure, it may be more efficient to place the factory in one of the second-tier cities-----capital requirements and operating costs vary quite considerably. The incorporation processing time depends on several factors. For detailed advice and guidance, please send us more info about your business scope and business plan. How to set up a manufacturer in China? Please contact Business China for details. Business China is a professional service provider specializing in company registration, accounting, work permit application, financial consultation, enterprise management consultation. Welcome to contact us. In October 19, 2017, Miao Wei, head of the Ministry of Industry and Information Technology revealed the country’s new policy ‘Top-Level Design China Manufacturing 2025.’ The agenda brought forth many policies that were not directed to Chinese companies but were for foreign funded enterprises that were operating within China. Wei also said that the cost of doing business would continue to accelerate which is why the country is looking towards 5G technology which the country aims to achieve by 2020. The minister also mentioned that China had been the world’s largest manufacturer of products and was also a significant internet power as a result. 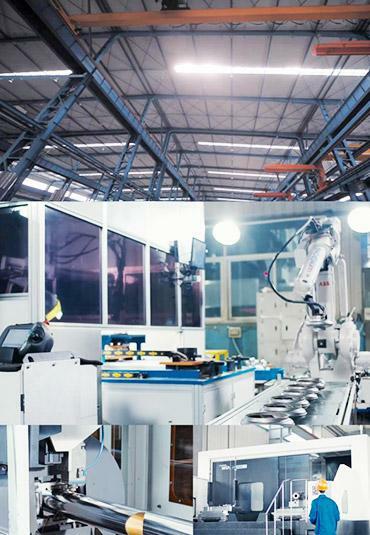 There have also been many breakthroughs that have been made in areas such as aerospace, high-end equipment, and also in a new generation of mobile technology that is further fueling the manufacturing growth of China, and has become one of the many reasons why foreign businesses are looking forward to a manufacturing company registration in China. China has also made many structural upgrades to its existing infrastructure to complement its growing manufacturing needs. This is a critical step since the growth of advanced manufacturing industries continues to grow at a rapid pace, with more and more companies looking towards the Chinese market and opting for a manufacturing company registration in China. The Ministry of Industry and Information Technology has also revealed its ‘Made in China 2025’ vision, which is at the center of all activities that are being carried out in China to improve its manufacturing industry, and to make it more in line with international standards. For this reason, a large number of Chinese companies have stepped up innovation in research and development. China is also working on the improvement of product technology and service quality so that national brands can win consumers' ever-increasing demand, and also compete with international brands. Experts who were present at the conference that was put together by the Ministry of Industry and Information Technology also noted that foreign invested companies have various problems when it comes to adapting to their new home in China. The country is making many improvements to streamline the process of registering a manufacturing WFOE in China, and to offer foreign investors low-cost infrastructure and other services that will help them grow their manufacturing business once they are in China. The Minister of Industry and Information Technology noted that prior to 2005, all foreign investment enterprises were drawn in by China's low-cost investment environment. By 2012, foreign investment enterprises witnessed China's rapidly growing market environment firsthand. Since 2012, foreign investment enterprises have seen more growth in China's high-tech manufacturing and services industries than any other sector. On the other hand, those foreign investors who are unable or are not willing to adapt to “the new normal” are quickly leaving China and moving to local or south-east Asia, where they have to face stagnant growth as a result. Both high-tech manufacturing and the service sector of foreign investment enterprises are still actively entering China because of the many opportunities for business growth. In the past,nearly 70% of foreign investment was in production. The proportion of foreign-owned enterprises in China is 11%, private enterprises, and 61% and state-owned enterprises 28%. Today, as much as 70% of foreign investment is in manufacturing WFOE in China, services, especially knowledge, technology and talent-intensive services. According to the experts, one way to achieve the negative list management and pre-entry to improve the current business environment in China is by focusing on better reforms that will further enhance manufacturing WFOE in China. In the future, China is going to need to clarify further the strategic thinking of utilizing foreign capital and strive to realize the "three changes”: from the world factory to the world market, and the world innovation center. From the paid-in capital to the registered capital, the diversion, the introduction, the integration of the development transformation; From preferential policies to demand guidance, supply-side cooperation, transparent period, global operation partner transformation, especially for a China Manufacturing Company. First, the country has entered a new stage in investment development, and there plenty of signs that suggest that direct investment in both directions is growing rapidly, especially after years of rapid growth in the use of foreign capital. This has averaged in a 10% growth per year since 1992. China has also entered a new stage of investment development since 2015, where the foreign direct investment has exceeded the actual utilization of foreign capital for two consecutive years. This also includes the long-term capital net output of the international balance of payments and financial accounts. As the theory of investment development cycle goes, China’s tremendous transformation from a net recipient to a net investor is considered to be a common phenomenon that accompanies rapid economic development. The inclusion of direct capital via establishing a manufacturing Company in China is going to be entered into a new stage of stabilization and structural upgrading from one-way storage to flow expansion. In this way, China looks to enhance its manufacturing infrastructure and increase its productivity. The withdrawal and transfer of some foreign wealth are one of the most common manifestations of rapid economic growth that China has experienced. Therefore, from the perspective of the extended period of investment and development, driven by the overall market environment and the transformation of economic and industrial structure, China's utilization of foreign capital has entered a substantial adjustment stage. Secondly, the cost factor of enterprise management has been rising, which has been a direct cause of the withdrawal of some international capital from the country. This is mainly been due to, labor cost increases. But, China's average human capital has been growing steadily ever since 2006. According to the report by the Chinese Academy of Social Sciences, the average wage in China's manufacturing industry has exceeded the majority of Southeast Asian countries, including South Asian countries significantly and is now considered to be the highest in the region. This increase of labor cost has been the most visible impact on labor-intensive industries, which has weakened the comparative advantage of traditional export-oriented manufacturing companies when it comes to attracting foreign investments in the country. Third, land costs are rising fast in China. With the rapid industrialization and urbanization, along with the growing influence of some short-term factors, land prices in China continues to rise. At the same time, since 2007, foreign investment enterprises, foreign enterprises, and foreign individuals have been included in the land use tax. This has also contributed in making the land cost of operating within China increase significantly. Also, environmental costs are growing more and more burdensome in China. In recent years, the environmental awareness of China's whole society has strengthened, and the environmental protection administration has grown stronger, has had an impact on establishing a manufacturing Company in China. The pollution emission control measures that have been caused by enterprises are becoming more and more stringent. At the same time, China's management of the environment has further strengthened. Keeping this factor in mind, the environmental burden and cost of high pollution and high emission enterprises is increasing at a fast pace, which is why, direct capital withdrawal from this area has become an inevitable trend. The good news for foreign companies looking forward for establishing a manufacturing Company in China is that local enterprises are improving. This has come about after years of improvements,China’s domestic enterprises have gradually become mature and are in a position to compete at home and abroad. This has all been made possible because of the major improvements in the level of technology, capital and management of enterprises and WFOE establishments in China. As a result, some local brands are also beginning to emerge from the international scene. With the gradual weakening of the advantage of foreign enterprises in multi-level manufacturing, the competition pattern looks to be accelerating with local enterprises as well. Regarding the state of continuous improvement of the overall strength of enterprises, and Manufacturing WFOE in China, the competition of foreign capital in non-technology-intensive fields is all set to stimulate first. On taking a closer look, in the traditional manufacturing sector, there are no technical differences between domestic and international enterprises. In fact, local enterprises are more accurate and precise in the Chinese market, and are better at reducing various costs, along with having many other advantages of operating at home turf. This has led to a gradual occupation of market share, which has caused some foreign companies to squeeze out of the competition. It is foreseeable that the competition between international and foreign enterprises will further expand in the capital and technology-intensive fields. Competition pressure continues to increase in the production and operation of foreign companies in China. Earnings estimates for foreign capital production in China expected to be depressed, which has also become one of the factors for the withdrawal of foreign investment in China. After the international financial crisis, represented by America, Japan, and Germany, the developed countries have put forward a new round of industrial development plans, such as the United States and industrialization and the Internet industry, Germany's "4.0", Japanese industrial recovery plan, etc. These were all intended to make up for the hollowing out of the local industry, caused by the traditional international division of labor and the upgrading of the domestic industry and the promotion of domestic employment. The policy direction of developed countries has been adjusted, which provides favorable policies and market conditions for the migration of some enterprises' overseas production chains. Countries in Southeast Asia have also introduced preferential policies to undertake a new round of international industrial growth. The has got to do with the abolition of foreign capital super-national treatment, and foreign investment in the normal supervision scope. This promotes fair competition when it comes to domestic and foreign investment, which is an inevitable result of foreign capital management in China. In 2008 the new enterprise income tax law and implementation of further regulations, after the enforcement of foreign investment enterprises and foreign enterprises lead to the cancellation of reinvestment refund, royalty free and regular tax preferential tax policy. Foreign taxes rose from 15% to 25%. In recent years, the management of foreign investment in some areas, including the manufacturing WFOE in China,has become more stringent, which has further impacted the business strategies of some foreign companies that are operating in China. As the minister of Industry and Information Technology in China has said, the country will continue to actively guide the adjustment of foreign investment and make sure that all foreign investment that enters the country through a manufacturing WFOE in China, and other enterprises continues to play a major role in China's overall industrial and manufacturing upgrading. The foreign investment that’s ushered in the era of "structural adjustment" will be focused on strengthening and avoiding short-term risks, while enforcing positive play, which is crucial to making progress. The Chinese government has promised to actively guide foreign investment adjustment and make use of external capital structure optimization in both the eastern and western regions of the country. In the east, foreign investment will accelerate the withdrawal of low-end manufacturing, and governments at all levels will prepare accordingly. The need to plan ahead is the main focus of the Chinese government as it looks to increase the numbers of manufacturing WFOE in China. This will include reforms to taxes, land, finance, political law and other functional departments which are going to strengthen to enhance the sense of service. At the same time, the Chinese government is also looking to further develop the advantages of the eastern developed regions as well, and especially the critical provinces and cities along the coastal areas, and also the free trade zones. The Chinese government is working to guide new entrants into the field of development in the high-tech industry. The good news for all those who are looking for a manufacturing company registration in China is that, according to the new China business model, full play will be given to foreign investment in the adjustment of industrial structure upgrading and for making the transformation of economic growth in the eastern region possible. As far as the central and western areas of China go, the country also find sit crucial to further highlight the comparative advantages of lower labor and land prices. Its latest policy stresses on the development of the east linkage and the convenience of domestic logistics, as well as the improvement of transportation infrastructure to attract the eastern region to evacuate foreign capital to the central and western areas. To facilitate foreign enterprises in China and to attract more foreign companies to go for a manufacturing company registration in China, the government is looking to further improve its foreign policy, optimize capital investment and use the capital environment. The Chinese government is working on the gradual improvement of capital investment, relevant laws, and regulations, along with foreign investment lawsin the People's Republic of China, which is to be promulgated as soon as possible. The country is also working on the management of pre-establishment national treatment and negative list of foreign capital. The country is also looking forward to step up its efforts to improve the domestic investment environment and strengthen policy coordination. This also includes notable improvements to taxes, customs, banking, foreign exchange, commodity inspection and other departments. All this is being done to establish a favorable and stable capital environment for Manufacturing WFOE in China. To find out more about our services please feel free to contact us at +86-020-2917 9715 or send us an email with your queries to proposal@set-up-company.com. 2018-11-04 Starting Business in China: Know The Difference Between Taobao and Tmall?